It's not enough to share simple boring hug day wishes and images. You have a special relationship. Your Hug Day images should also be special. 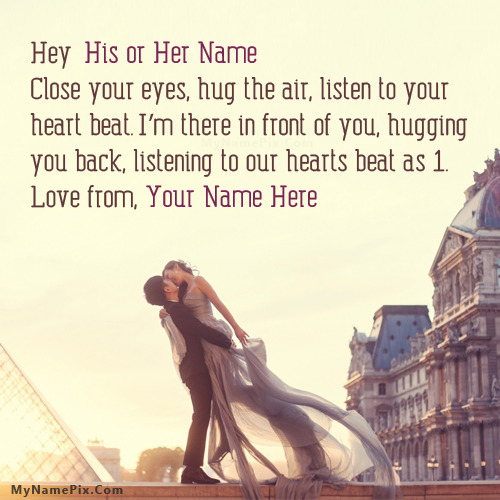 So get Hug Day Quotes on images with the name of your loved one.